Campaign "Just be. In Holland." In association with our partners from Soubriet Byrne & Associates we've created an interactive website for the campaign "Just be. In Holland." 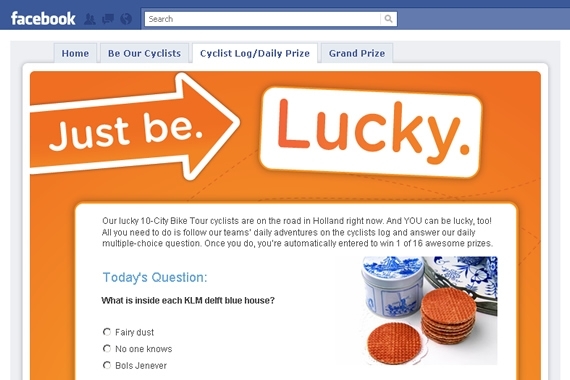 of KLM and the Netherlands Board of Tourism & Conventions. The task of the project was developing a facebook application in which the users could allow access to their profile information and participate in several interesting contests included in a 2-month campaign. 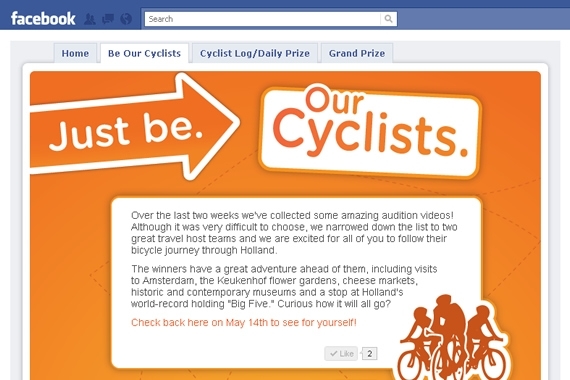 During the time of the campaign the organizers' Facebook pages gathered over 80' 000 new fans. 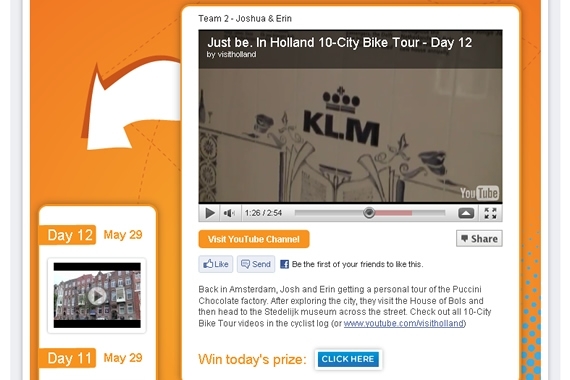 Besides, several thousands of users enrolled to participate in the contests.